With spring break just around the corner, it’s time to start planning your trip to the Bradenton, Sarasota and Palmetto areas! 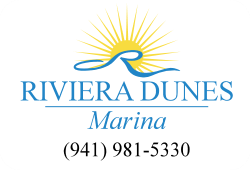 In addition to our area’s pristine beaches, you’ll quickly discover that our area accommodates all ages. 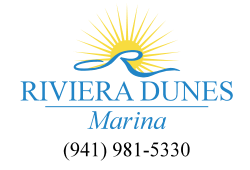 Family-friendly activities abound near Riviera Dunes Marina, from fishing trips to nature obstacle courses and much more. Here’s a snapshot of some fabulous activities that are perfect for your family this spring break. Spend a day in the trees. If your family loves being outside, but they want to take a break from the beach, everyone will enjoy a day in the trees as they traverse unique obstacle courses at TreeUmph! Adventure Course! If you’re new to ziplining, TreeUmph! has guides that not only monitor you to ensure you are safe, but they also train you to best navigate the courses. Of course, you are always clicked in with their belay systems to keep you secure during your adventure. Zipline among the trees or sit back and watch your loved ones for one unforgettable experience during your vacation! If you don’t already know, the folks here love to spend a day fishing! You can choose from a shorter excursion at one of our local piers, or you can seek out a local fishing charter where a captain takes you out for a longer fishing trip. Depending on the day, you might catch red grouper, flounder or king mackerel, among several other species. Do you love deep sea fishing? There are trips here just for you! There are even special sunset fishing trips, too. The best thing about local fishing charters is that they are often customizable. You could take a private charter to accommodate a small group of people or join in on a trip with a few dozen other people. Tour our area in a new, unique way! Perhaps you visit the Gulf Coast for spring break every year, but you’re looking to get a fresh taste of our region this year. There are food tours that take you through Downtown Sarasota as you sample our area’s best in fine dining, global fare and more delightful delicacies! Eco tours are another unique way to tour the area. Whether your vessel is a bike or a kayak, there’s always something new to discover about our area’s natural history. Of course, it’s not a visit to the Bradenton area without a day spent at the beach during your spring break vacation. From lounging on the beach to playing a round of frisbee, to shelling and looking for unique birds, our many beaches are a great way to relax and spend time with your loved ones.